moisture | Bio Logic Aqua Research® Technologies International, Inc.
To minimize exposure to alkaline tap water, daily facial cleansing should be done at the bathroom sink and not in the tub or shower. Ideally, the process should be unrushed and relaxing. Place a little mild liquid cleanser in the palm of your wet hand and apply sparingly over your facial skin. Do not rub in. after rinsing. Pat or press washcloth, do not scrub. skin changes, which may indicate the need for a lifestyle change or a trip to the doctor. Finish with a moisture-sealer (lotion or make-up base), to hold in moisture in your skin. To avoid clogging pores, apply skin-care products by placing a small amount on your palm and gently tapping it into your skin with your fingertips. The best moisture-sealers will have a sunscreen SPF of 15 or greater to help prevent skin cancer from solar radiation. If you don’t have time for repeated compresses: after the soap application and one or two rinses, soak a washcloth or hand towel with warm water and make a tent over your face. Leave it there for a minute or two, with eyes opened and breathing deeply. This will moisturize skin, eyes and breathing passages. For best results, apply NATURE’S MIST® all-natural, pH-correct skin moisturizing water on face and body before cleansing, then again after cleansing but before applying the moisture-sealer. 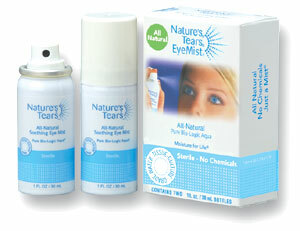 The pre-misting opens pores, softens and relaxes skin and helps toxins, dirt and bacteria come to the surface. 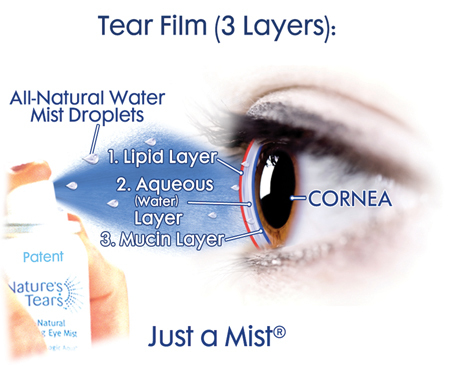 Misting just prior to applying the moisture-sealer counteracts the negative effects of alkaline tap water.